There is nothing better to warm the soul on yet another cold snowy morning in Colorado than watching the first big cobbled race in Belgium live online. Through the over-pixeled image obscured further with raindrops on the moto camera lens, I sat mesmerized as the Belgian scenery rushed by, the uninterpretable dutch language described the action, and some of my favorite riders fought to win a bike race. Plus the route covers all those other bergs, not typically included in the Tour of Flanders (Ronde van Vlaanderen) in April. 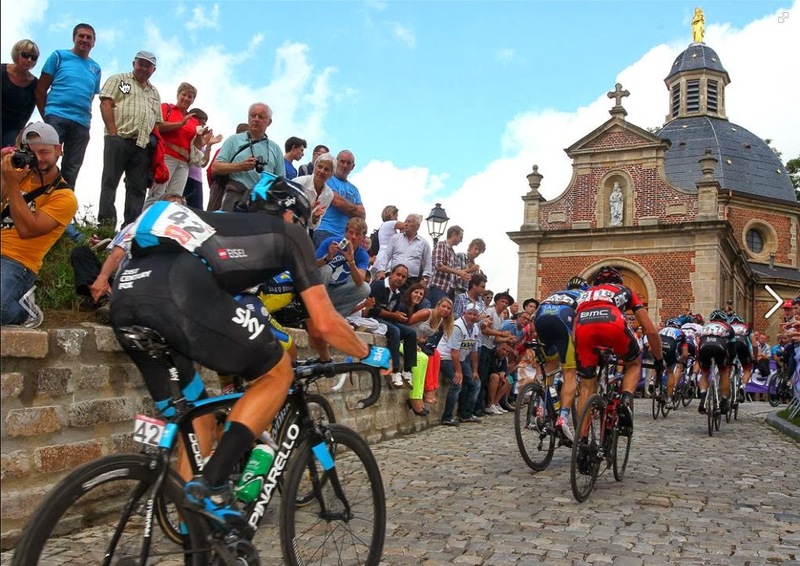 But cobbled racing is back, and it feels great to be watching racing in Europe again. And a bunch of other bumps to total 198.4 km in the rain. The creme of the crop stood on the podium today after the race, although I couldn't help but comment out loud - "man what an ugly trophy for all that work they did." Still if I could form my own fantasy team - I would hire all three of these men, and Bernie Eisel of course. Two years ago I spent a morning in Kortrijk, Belgium, hanging around the teams - BMC, Lampre, and SKY - as they prepared for a training ride. 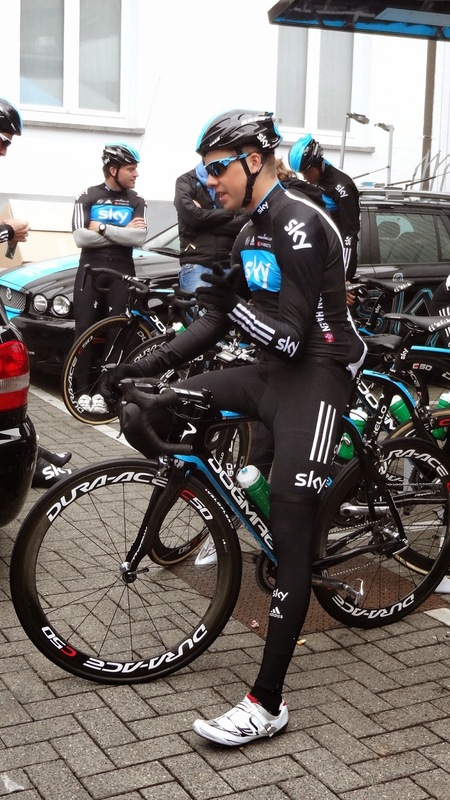 It was the day before the Tour of Flanders. No one was around but me and a couple others on the calm quiet morning near the team hotels. They were so kind to let me watch quietly and snap some photos as they came out to gather their bikes and gear and get ready to ride. 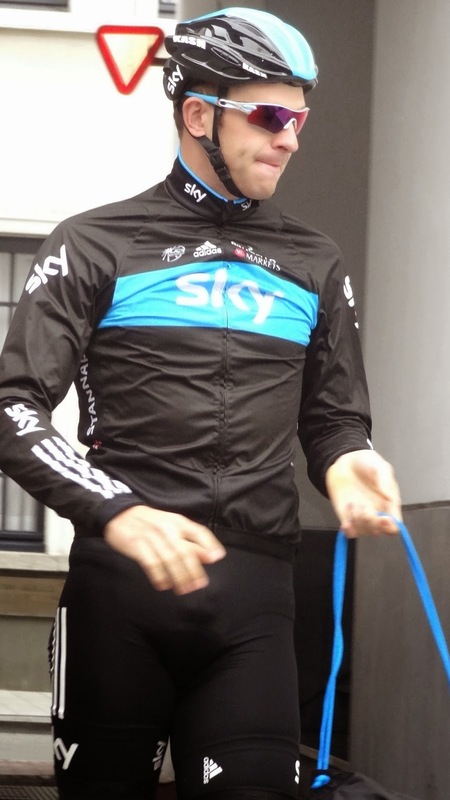 I have since seen many of them at more recent races, but these times in Belgium remain very fond memories. 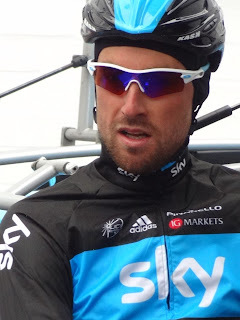 Read my stories: The Sky was blue and Hanging with the teams. 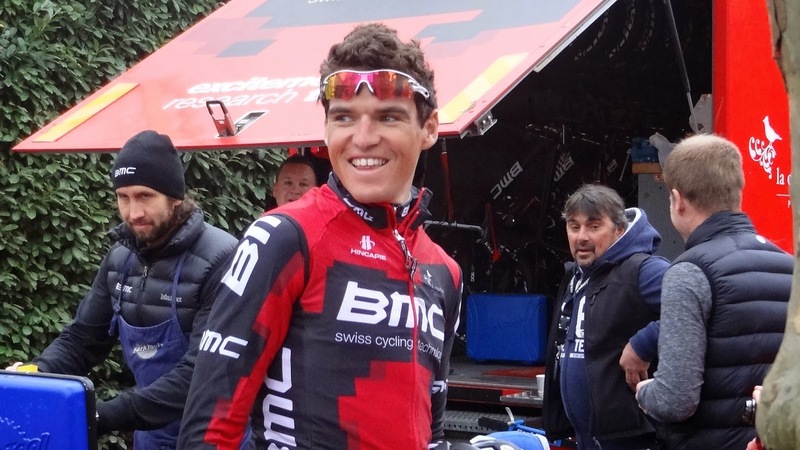 Greg Van Avermaet is actually one of the most photogenic guys in the peloton, he and Joe Dombrowski never take a bad picture. 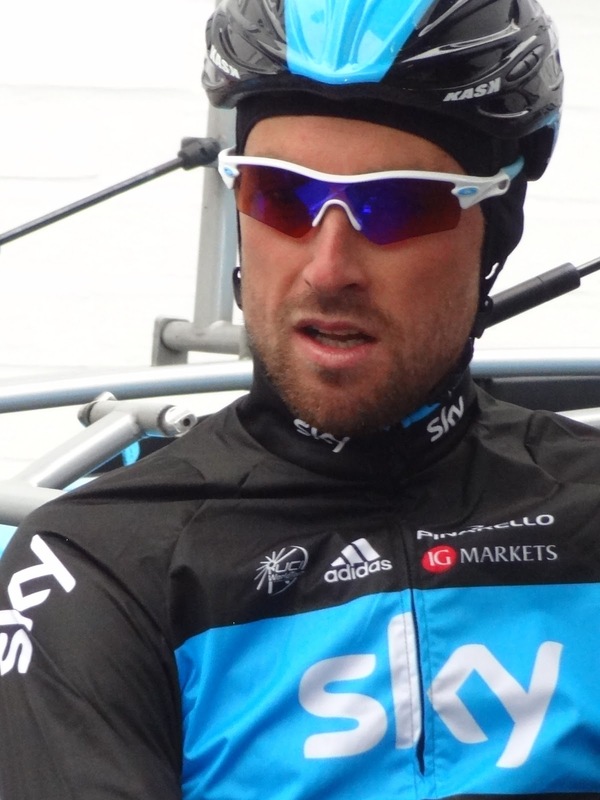 And of course Bernhard Eisel (let's see how many more times I can mention Bernie - but heck, it is Classics season). Bernie shared this photo below on Facebook today, which reminded me of how awesome the Mur de Grammont (Muur van Geraardsbergen) really is. I wish I knew who took his photo for him.